Circular outline. Circular, concave discus has central filling hole with recessed, rounded framing ring, rays, and narrow, raised, flat framing ring; small airhole on front of discus. Shoulder has vine and grape cluster motif, two pairs per side. Heavy ring handle with two grooves attaches at discus rim. 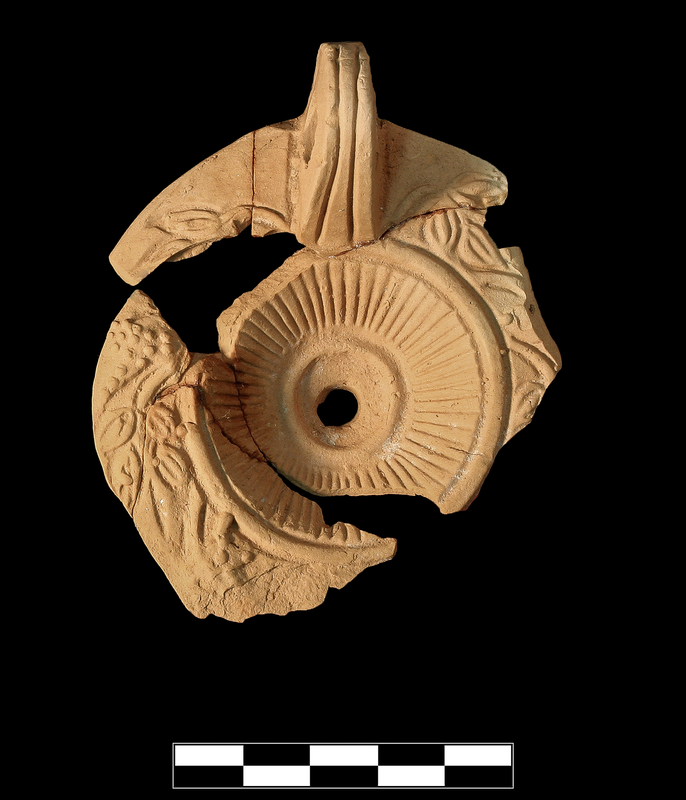 Early/Middle Roman Corinthian red lamp fabric: somewhat hard with platy fracture. 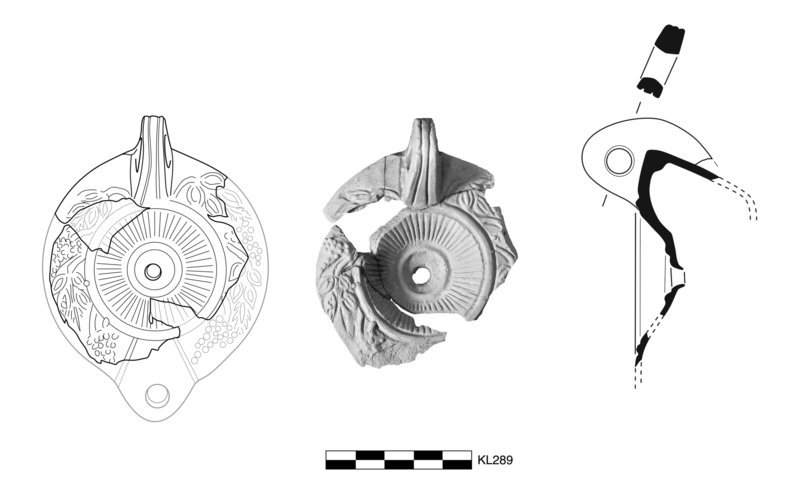 Six joining fragments preserve almost entire discus, over one third of shoulder, and most of handle. Slight, sparse chipping around edges; slight to moderate, sparse patches of encrustation.